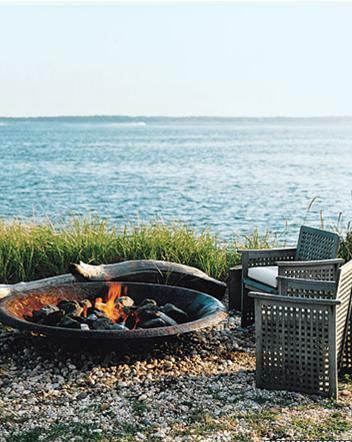 Holidays | Design Lines, Ltd.
We hope you and yours are soaking up the last moments of summer today! Be inspired by these gorgeous all white ensembles (We love Kate Middleton) and wear white head to toe! 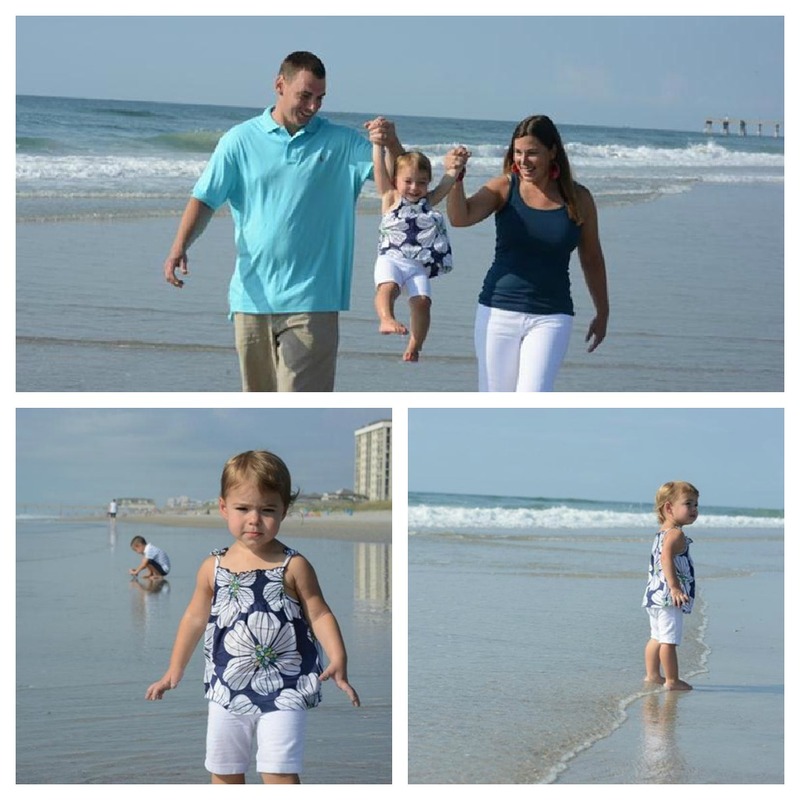 Ashley enjoyed a wonderful week long vacation at Wrightsville Beach with her husband and adorable daughter, Sophia. 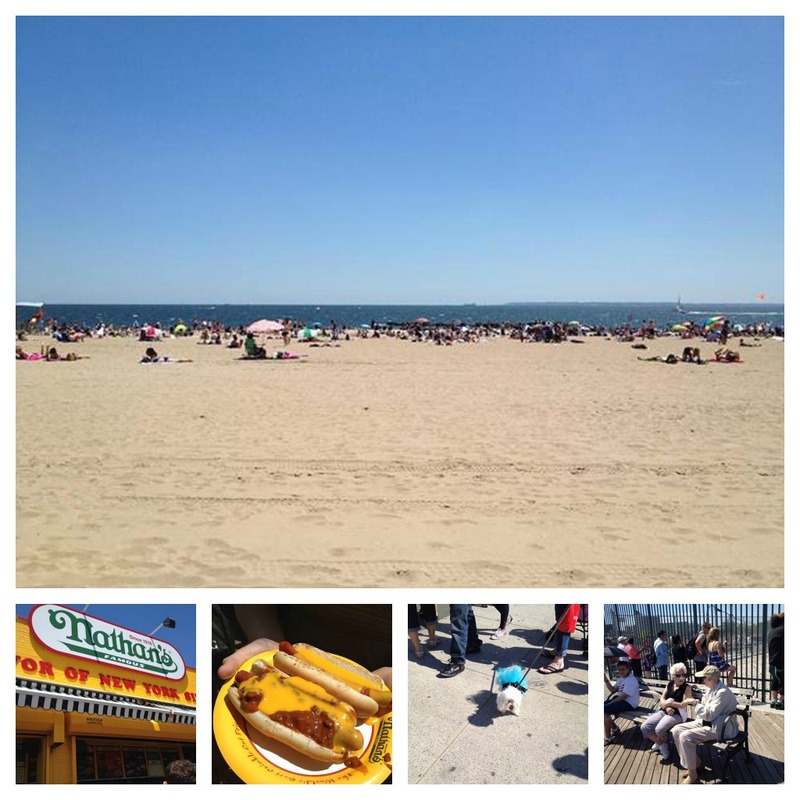 Katerina’s collection of snaps from her Coney Island Adventure, complete with the unique people watching experience. Hilaire and Judy went to Texas and spent the 4th of July with family. 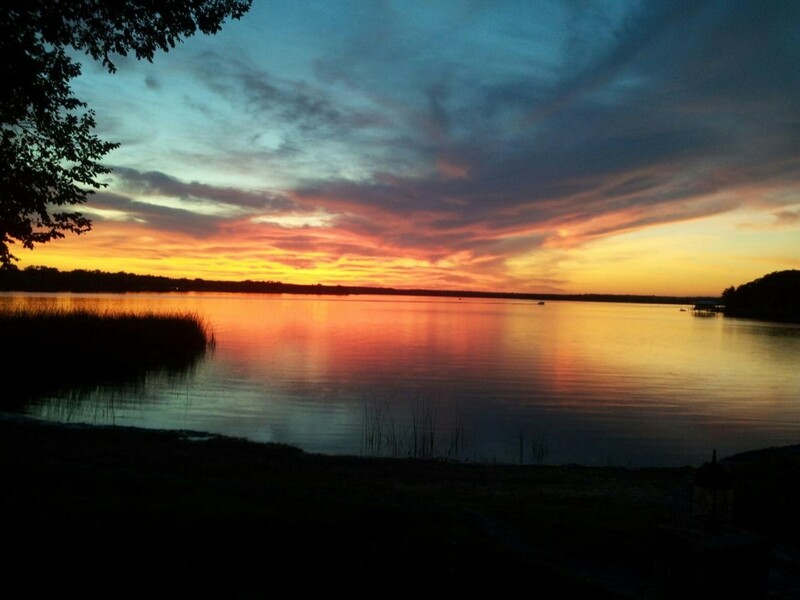 The incredible view from the dock. 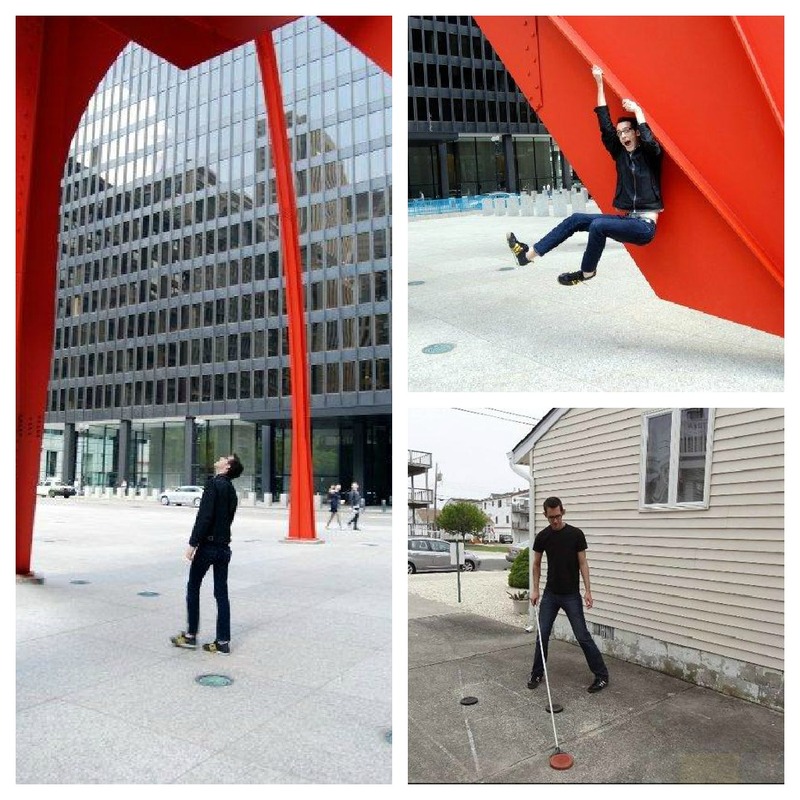 Rob spent some time in Chicago and enjoyed a game of shuffleboard at the Jersey Shore in Sea Isle City, New Jersey. Ever the hostess, Judy was surprised by a birthday party at her own house- planned secretly by Hilaire. 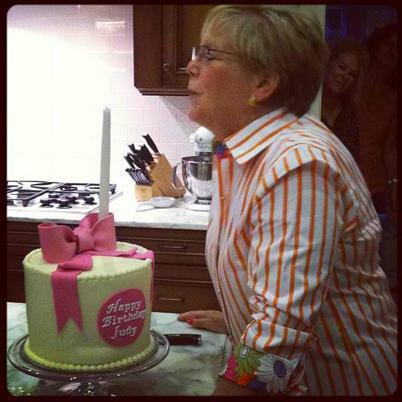 Below, Judy blows out the candle on her gorgeous and delicious Lemon cake from the Cupcake Shoppe. 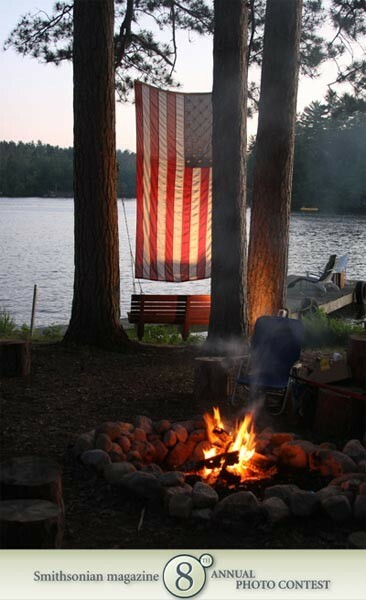 From the entire staff at Design Lines, Happy 4th of July and God Bless America. We are so thankful and blessed for our freedom. See everyone on July 9th! 1- How about a cool valentine with a hand-written note inside? 4- Rather than ordering your Valentine flowers online- consider picking up a few bunches at your local grocer and arranging them yourself (demonstrating thoughtfulness in your selection)- or consider a flowering plant like ranunculus that they can plant in the ground when it gets a bit warmer outside. 5 For him? What about a car wash or a geeked out case for his phone? Happy Valentine’s day! 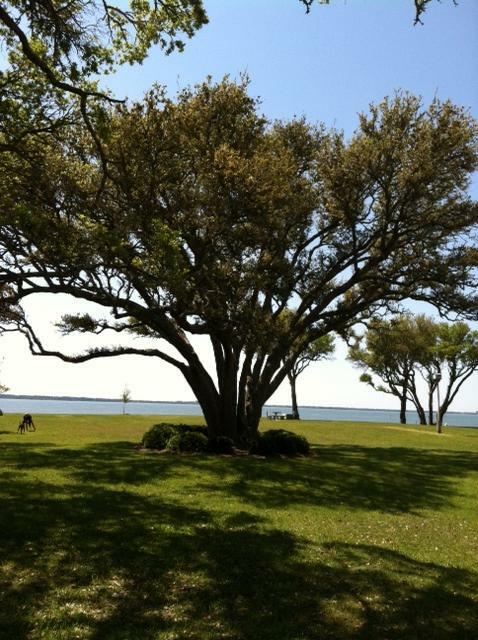 Remember that thoughtfulness is completely free! 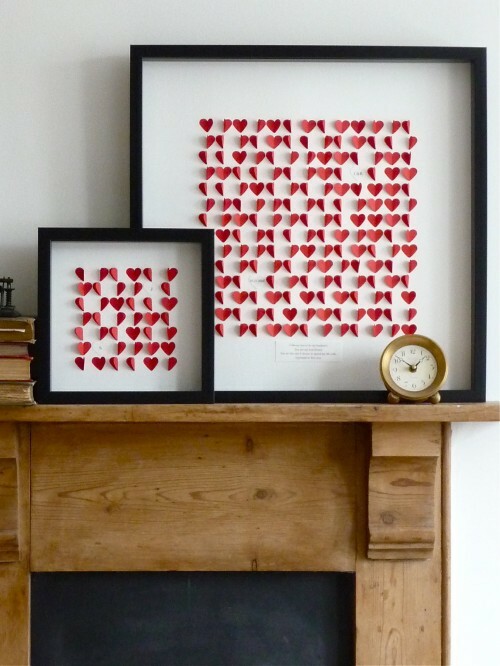 Want a neat idea for your mantel?! You’ve only got a few days left until Christmas. 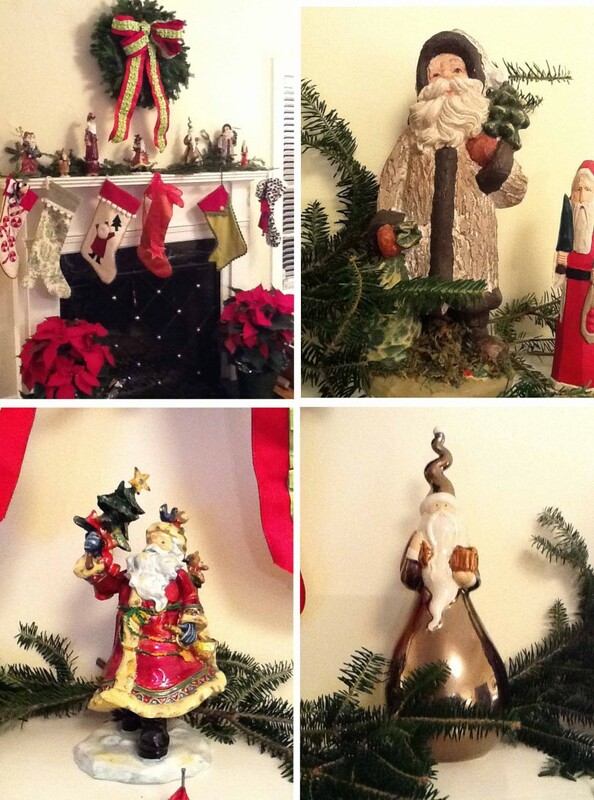 Molly’s best friend’s mother, Margie, through the years – has given her beautiful Santa Clause figurines. A few years ago Molly decided that rather than putting them in different places she would put them all on the mantel and enjoy the Santa Parade! What’s the best gift you’ve ever recieved? Do you still remember the wrapping? How will you wrap the presents you give this year? 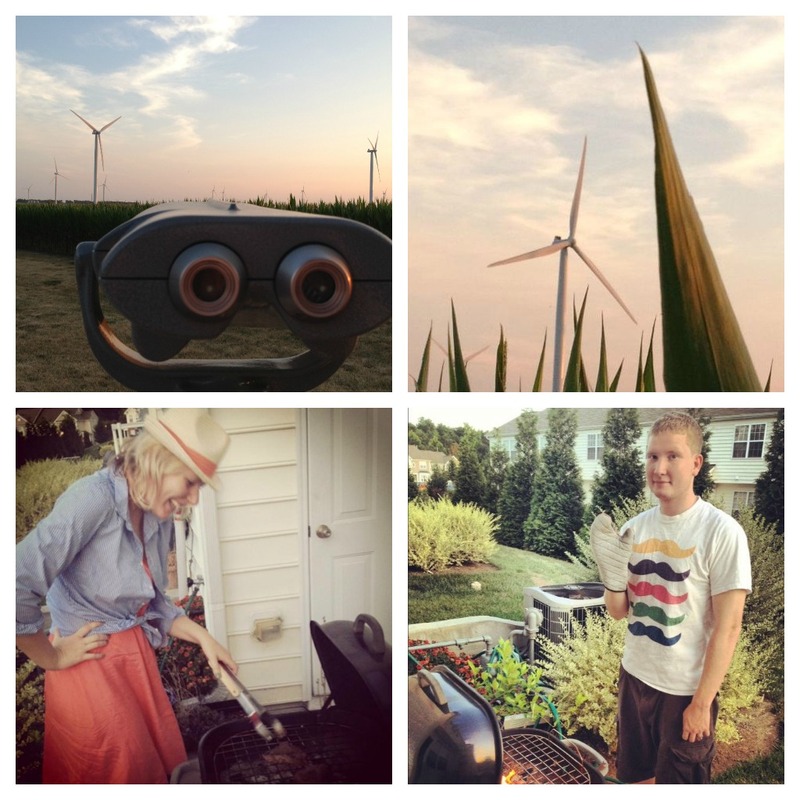 Check out previous posts on the topic: here & here. The holidays are in full swing and at Design Lines we are all about sharing some of our favorite holiday recipes. Round one – we’ve got a few appitezers great for those potluck parties, a cute dessert and even a delicious drink. Enjoy!! Stay tuned as the remaining staff gathers their faves. 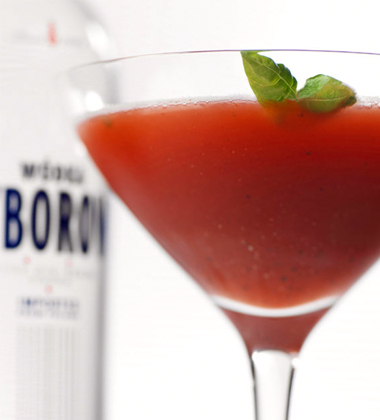 Gently crush the strawberries and basil leaves in the bottom of a shaker. Then combine all ingredients in a cocktail shaker with ice and strain into a chilled cocktail glass. 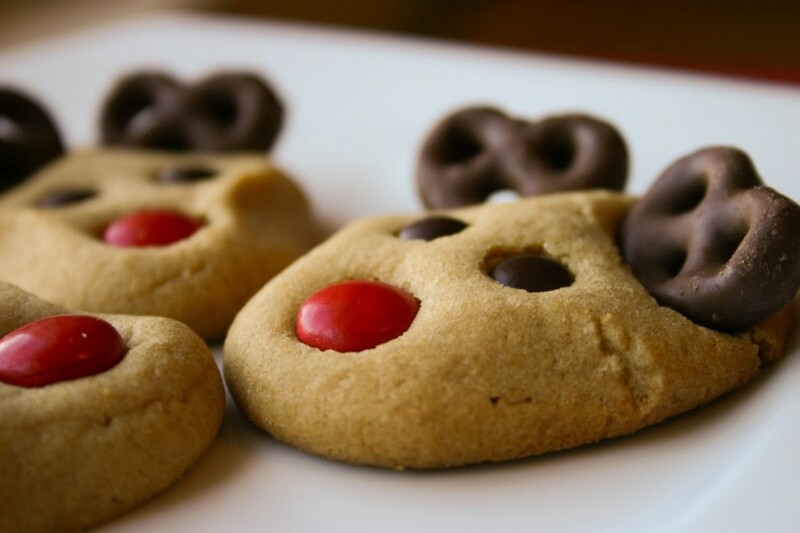 I came across this recipe for reindeer cookies and thought they were so cute! They’d be a neat snack to stick in kid’s lunches for their last week of school before Christmas break. Combine brown sugar, peanut butter, shortening, milk, and vanilla in large bowl. Beat at medium speed until well blended. Add egg; beat until just blended. Remove from oven and immediately (and gently) press two mini pretzels into the tops of the cookies for the reindeer’s antlers. Press two mini brown M&Ms in for the eyes and one red M&M for the nose (or any other color… some of mine ended up with green noses. They might be South Pole reindeer.). Source: Peanut butter cookie recipe from Jif. These are a tiny bit spicy as any good cheese wafer should be – so kids were not all over my new favorite treat!! 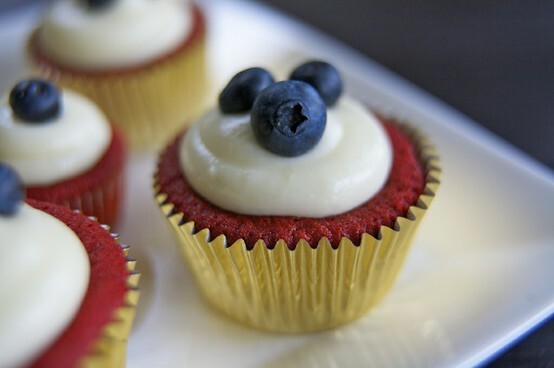 These are just perfect with a nice mellow glass of Cabernet. I plan to make them for gifts and put them on cute Target plates that I bought. Must chill 8 hours or overnight! 1. Preheat oven to 350. Bake pecans in a single layer, in a shallow pan, 8-10 minutes or until toasted and fragrant, stirring halfway through. Cool completely, about 15 minutes. 2. 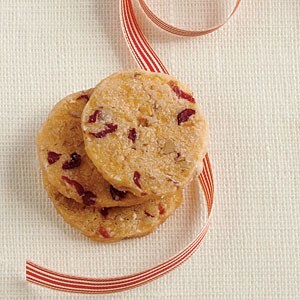 Meanwhile, soak cranberries in boiling water to cover 15 minutes; drain and pat dry with paper towels. 3. Beat butter and next 3 ingredients at medium speed with a heavy duty electric stand mixer until blended (I used a regular hand mixer). Gradually add flour, beating just until combined. Stir in cranberries and pecans. Shape dough into 4 (12 inch long) logs; wrap each log in plastic wrap. Chill 8 hours to 3 days. 4. Preheat oven to 350. Cut each log into 1/4-inch thick slices; place on parchment paper-lined bking sheets. Bake 13-15 minutes or until lightly browned. Remove from baking sheets to wire racks and cool completely, about 20 minutes. This recipe came from a Mississippian cookbook I received at one of my best friend’s wedding. This dip is to die for if you love bacon and a chives. 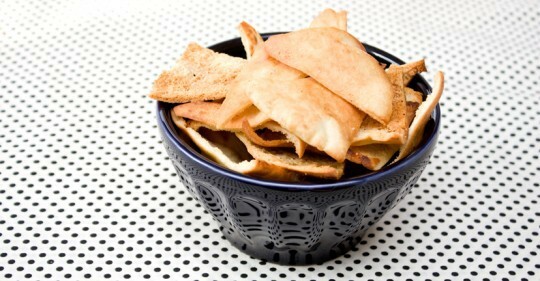 It goes great with pita chips or even ritz crackers. Combine all ingredients in food processor. Process until chopped, but not pureed, preserving some texture. Adjust searsonings. Can be prepared up to 2 days in advance. 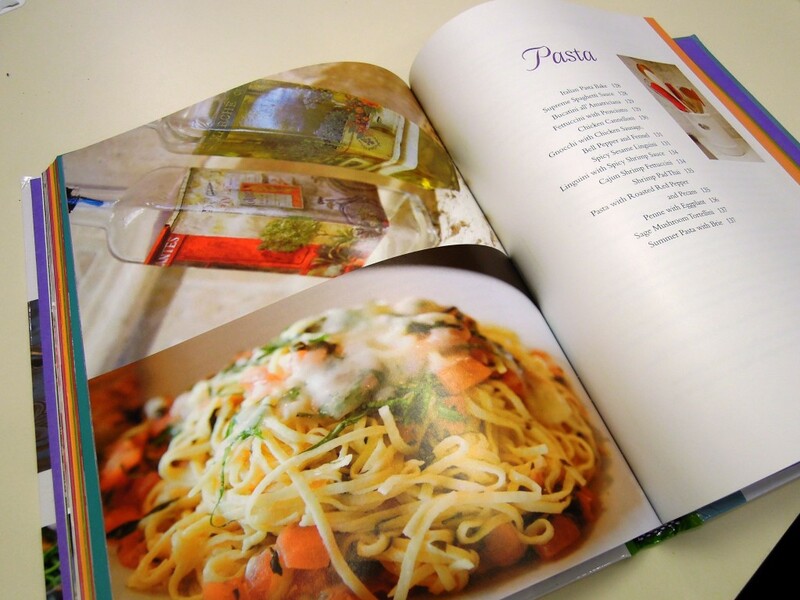 Cookbook Giveaway: And the Winner is…..
You are the winner of our 2nd Giveaway – The Junior League of Raleigh Cookbook. Yummy!!! The cinnamon rolls sounds wonderful. From the Design Lines crew, Happy Holidays! We are excited to announce our next holiday giveaway! As we gather for the holidays to entertain with family and friends, having great recipes is a must. 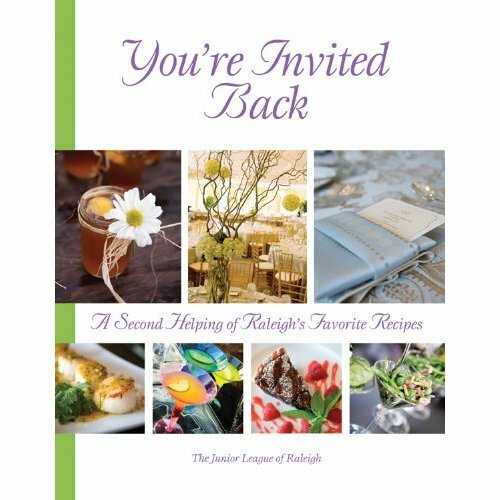 The highly sought out Junior League of Raleigh Cookbook “You’re Invited Back” is our second giveaway. This cookbook is filled with Southern recipes good for any occasion and it also includes highlights about our great city of Raleigh. 2. Share this contest via Facebook! Be sure to mention Design Lines Limited in the post so that it shows up on our page as well. Doing any of these will enter you in the contest, and completing all three will give you three chances to win! The winner will be announced on our blog at noon on Monday, December 12th. You have until midnight on the 11th to get your entry in! We will select the winner at random and contact you to send the book your way! 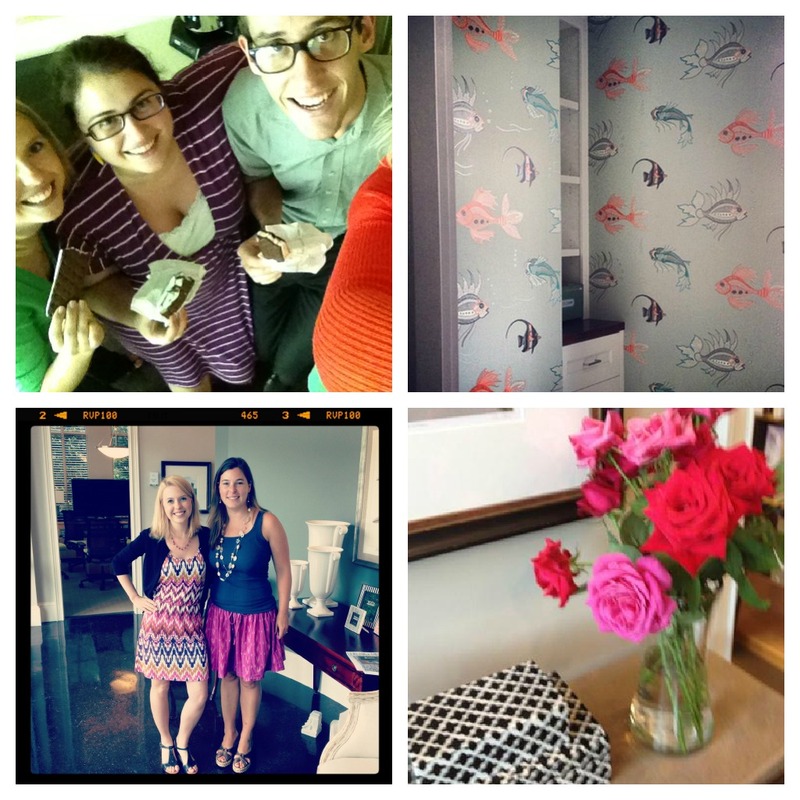 Looking for more interior design inspired giveaways? Stay tuned! 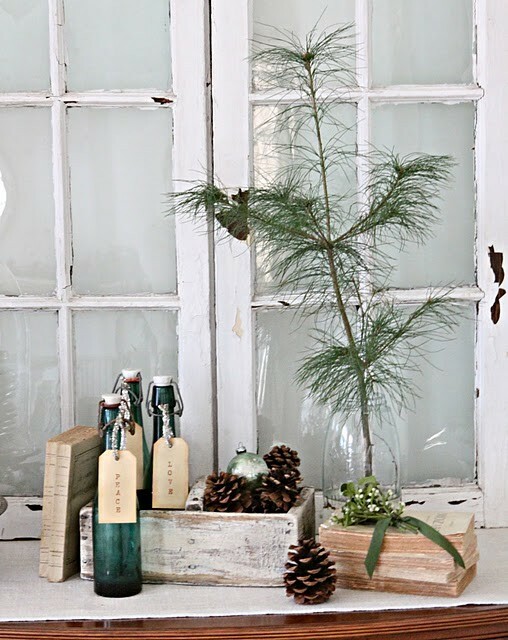 Our 12 Days of Christmas Series is back and we are kicking off the series with holiday inspired decorations. 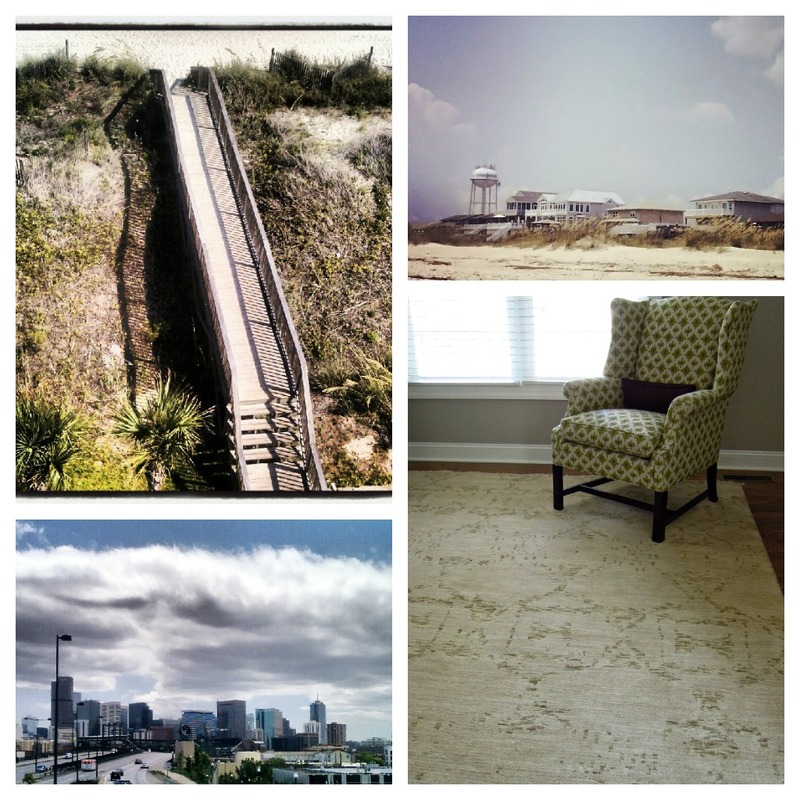 We found these gorgeous pictures using Pinterest. Check out our Pinterest Christmas Board and Follow us! Use green as the dominate color when decorating and gently splash white throughout, giving the space a elegant look. 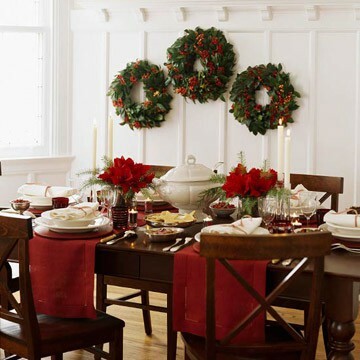 Decorations do not have to be your traditional green and red. Be different! Introduce, silver, white, gold, or even a cafe mocha brown into the mix. 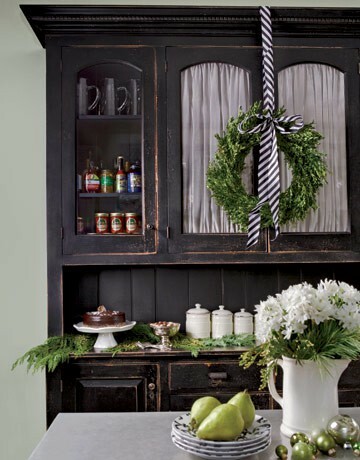 LOVE the repetition of the wreaths on the wall. Great way to make an impact in one room. 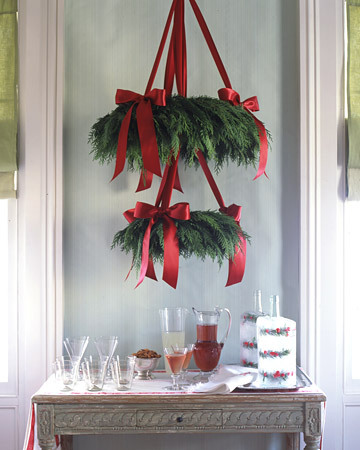 Red ribbon is always a must for any holiday decorating. 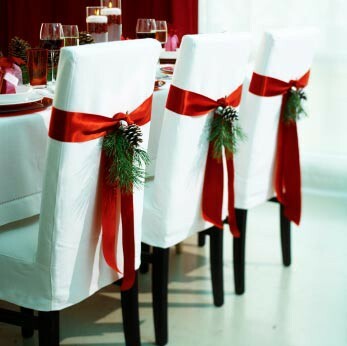 The touch of ribbon around the chairs gives the whole dining room a classic feel. 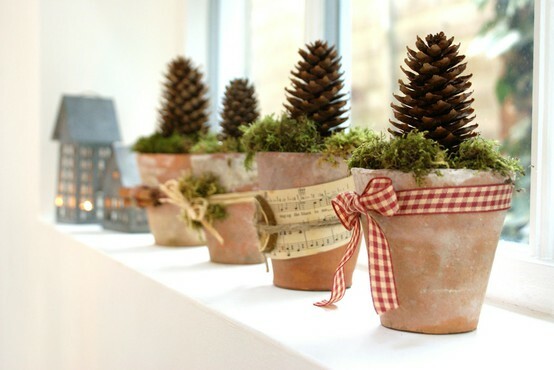 Don’t have a lot of space in your home, bring the outside in with simple potted plants on the window seal. The all natural look is very popular and simple. Last but not least make a statement! (above) Martha Stewart creates a chandelier worthy any holiday party.